Newsflash! Ari Seth Cohen of Advanced Style and designer Fanny Karst have released another iconic collaboration. Their statement tee reads “Not Dead YetI” In celebration of this inspirational message, I took to the yoga studio to express my appreciation. My yoga posts always include a bit of whimsy. Why not wear the newly created graphic tee with tulle, a pink head wrap, pink skinny jeans, pink vintage hoops, and black flats embellished with rhinestones. I’m adding and subtracting adornments pose by pose. A believer in accessories, hat boxes were made for more than protecting headwear. They can be used as a prop in many situations, and today this pink beauty accompanied me to yoga. Who needs a yoga block when you can elevate yourself with a pink, round container which reflects the coloring of the lettering on today’s featured tee. Thank you to The Iyengar Yoga Center of Denver , which was the location for today’s photos. The center uses blankets, blocks, and straps to assist and facilitate poses. My hat box fit right in with the studio’s supportive accessories. Today is Thanksgiving Day in the US, and I’m taking the opportunity to thank all who follow and comment on Style Crone. I’ve been blogging for over eight years now, and Style Crone would not exist without you. Thank you from the bottom of my Style Crone heart! This post is heavy on photos and short on words. Yoga speaks for itself. It has been my lifeline for many years, and it is a practice that fuels me mentally, physically, emotionally, and spiritually. As with blogging, many of the benefits happen beneath the surface, and accumulate over time. Yoga helps me stretch and grow, on and off the mat. Another element of my life to be grateful for! Thank you to Ari and Fanny for continuing to enhance the lives of many with your sartorial creations. After all! I’m not dead yet, and I’m feeling “in the pink.” I will continue to move forward with creativity and the best of intentions until I wear my last hat. A gigantic shout out to Patti of Not Dead Yet Style. Her blog is aptly named for its honoring of living your best life now and commitment to community. 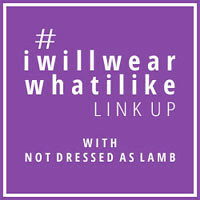 Today I’m linking up with Patti’s Visible Monday HERE, Catherine’s #iwillwearwhatilike HERE at Not Dressed As Lamb, and Cherie’s Shoe and Tell Fashion Link Up HERE at Style Nudge. This is perfection! You are jewel to be cherished & I’m so proud to call you my friend! So wonderful! I love your graceful poses, and naturally I agree with the sentiment : > And thank you for the kind mention, xox. What ever YOU have on your HEAD is MAGNIFICENT!!!!!!!!!! Wow! What a great post. So perfect and unique for Thanksgiving. Have you been a ballet dancer? You’re so graceful. I love the T-shirt. It says it all and so do you. Love your beautiful smile.